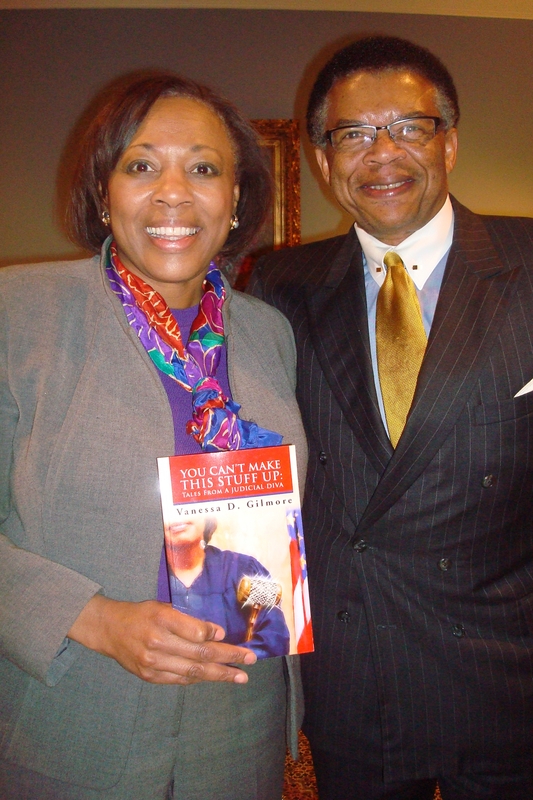 It’s not everyday that a federal judge writes a book about her experiences on the bench. 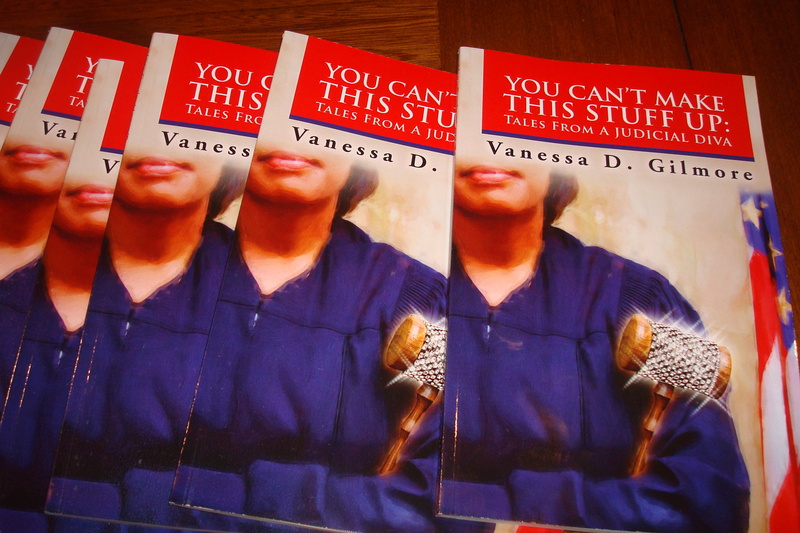 But United States Federal District Judge Vanessa D. Gilmore is no ordinary Jurist. Over the years Judge Gilmore has developed a reputation for operating her courtroom with both a professional demeanor and personality-driven detail. Both of those traits are on display in her new book, You Can’t Make This Stuff Up: Tales From a Judicial Diva. Only a true diva would pose with a diamond encrusted gavel. The book is billed as a humorous, autobiographical collection of short stories about Judge Gilmore’s experiences interacting with attorneys and criminal defendants, including one who dressed as a king while on trial and another who flirted with Judge Gilmore. 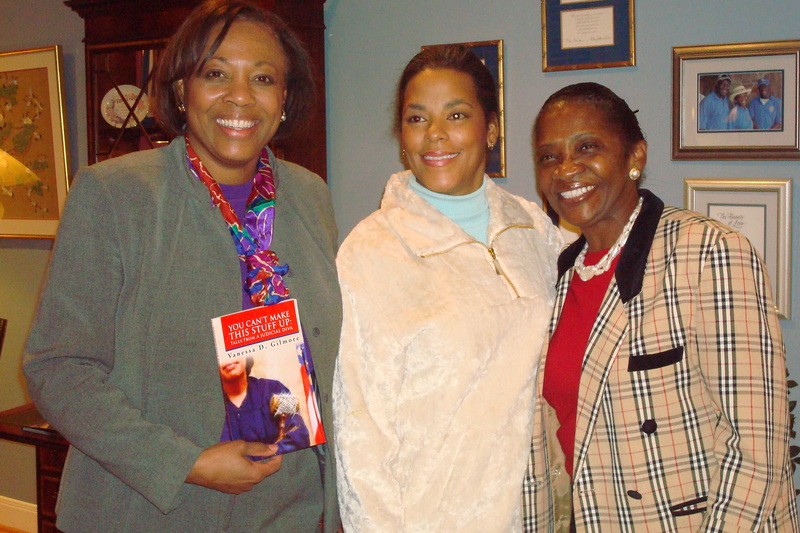 At a recent Friday night book signing, Judge Gilmore posed for photos, signed copies of her book and entertained the crowd with funny stories recalling some of the colorful characters she’s encountered and crazy antics she’s witnessed inside her courtroom. Pauline and Jr. Higgins hosted the book signing at their home near Rice University. 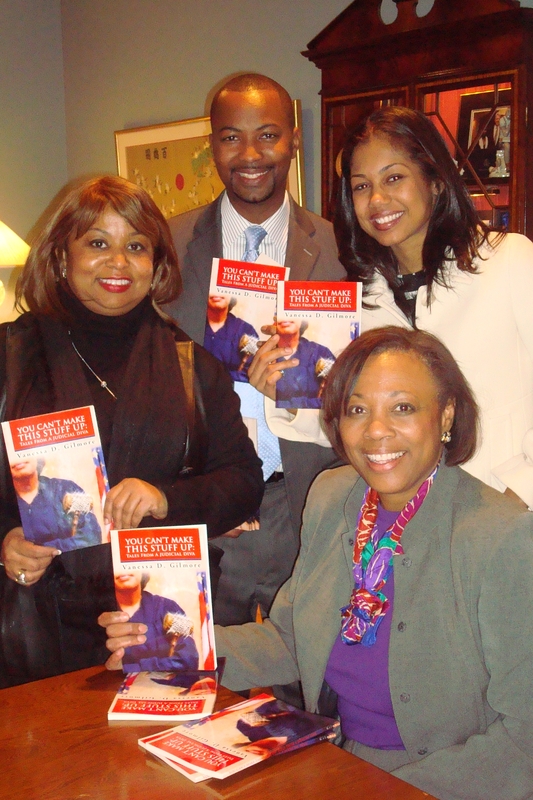 Faces in the crowd included Houston attorney Rufus Cormier, Dr. Joanie Hare and Carolyn Aiman. 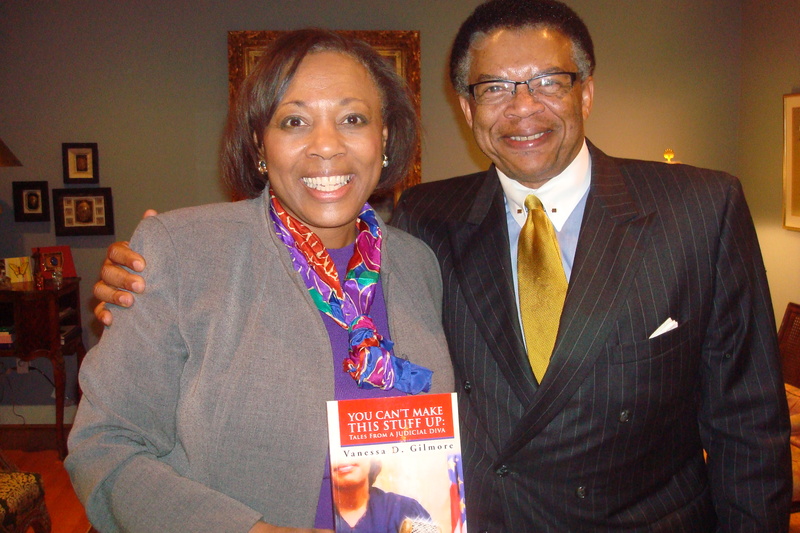 This is Judge Gilmore’s second book. 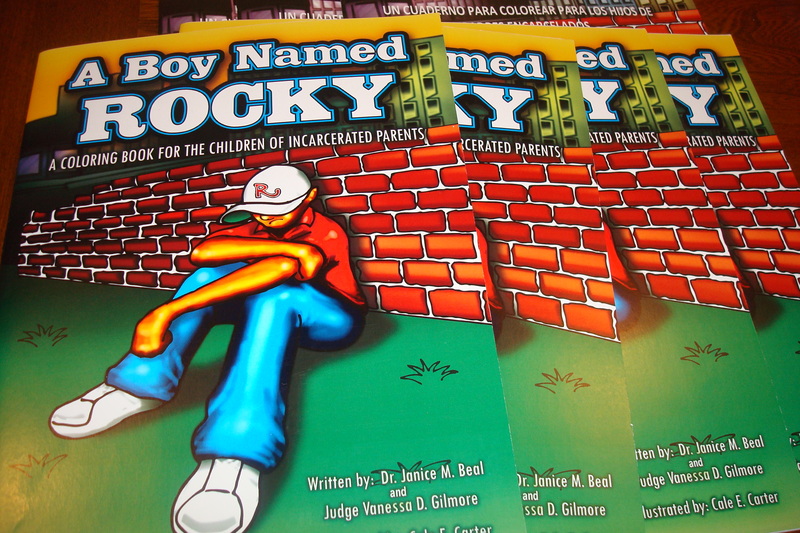 I did a KPRC Local 2 story about her first book, A Boy Named Rocky: A Coloring Book for the Children of Incarcerated Parents.